There's no question that Thanksgiving is all about food. Home-cooked meals and a gluttonous spread are essential components of the holiday. However, even if you eat enough turkey to suffice for two of the day's meals, there's still a third meal waiting for you to make a plan. Or maybe you just need to caffeine up on the drive to grandma's house so you don't doze off like Clark Griswold heading to Wally World. Fortunately, a handful of popular restaurant chains are open on Thanksgiving and many of them are offering deals in recognition of the worst day of the year to be a turkey. 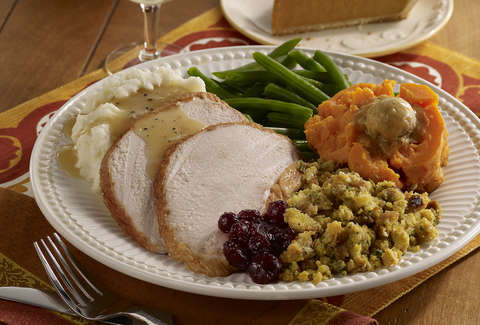 Take a look below to find the best freebies and discounts available on Thanksgiving. The deal: If you're one of the many people driving on Thanksgiving, listen up. Cumberland will give you a free hot or iced coffee in any size from 12am to 11:59pm on Thanksgiving. 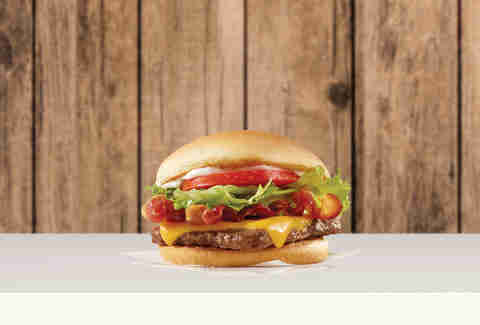 The deal: Every day through November 23, Wendy's is offering a free Jr. Bacon Cheeseburger when you make any purchase. You'll find the offer in the company's mobile app. The deal: Take $1 off the shop's "Thanksgiving sammie," which features pumpkin cheesecake ice cream on ginger molasses cookies dipped in chocolate and sprinkles. The deal: Buy a $25 gift certificate for a friend and get a $5 gift card for yourself. You can also add the $25 credit onto your Taco Nation mobile app, and you can get a bonus $5 credit there as well. Looking for Black Friday deals? Check out the best sales at Walmart, Target, and GameStop as well as these cheap flight and TV deals. Still hungry from all the shopping? Don’t miss all the great pizza deals running all day.